As Earth Day approaches on April 22nd, our team at Bula Kava House wants to take a moment to appreciate the birth of the modern environmental movement that began back in 1970. Founded by then U.S. Senator Gaylord Nelson, the idea behind Earth Day was to create public awareness about pressing environmental issues that faced the U.S. and the world beyond. Since Earth Day was first established, we’ve seen significant progress made in how we treat the environment in the U.S. in the forms of the Clean Air, Safe Drinking Water, Endangered Species, and Food Quality Protection Acts, among others. Despite these legislative efforts to improve our air, water, and food quality, there’s still much work to be done if we hope to combat the biggest threat to our environment – climate change. The effects of climate change are real and can already be felt in countries least equipped to deal with rising sea levels, frequent violent storms, and increased temperatures. In recent years, many South Pacific nations have felt the effects of climate change firsthand in ways that have resulted in lives lost, communities devastated, and families torn apart. 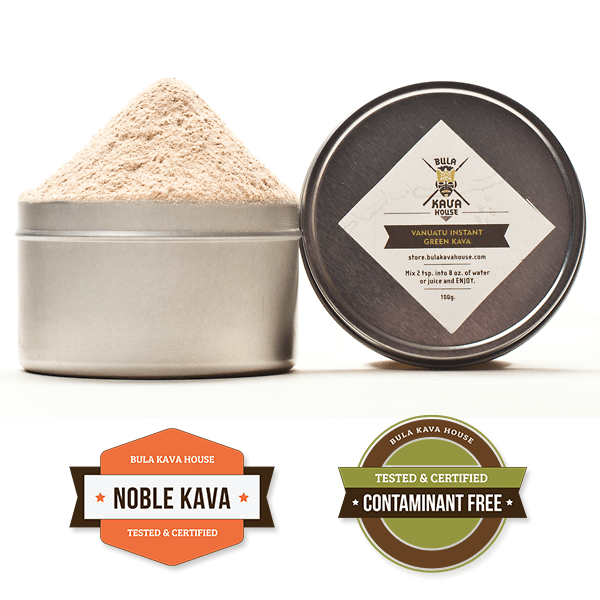 Countries like Vanuatu, Fiji, Tonga, and Samoa hold a special place in the hearts of kava connoisseurs. Due to climate change, the ability for these island nations to continue to produce kava is at risk. But more importantly, so are the lives of the great people who live in this region of the world. When Cyclone Pam struck Vanuatu and several other Pacific Island nations in 2015, the resulting devastation severely damaged 90% of the housing in the capital city of Port Vila, the local hospital was left with no power, and kids had nowhere to go to school. In the country’s outer islands, where the majority of the population lives, nearly a quarter of a million people had little to no protection against the cyclone’s 160 mph winds. Confirming the degree of devastation, the United Nations Office for the Coordination of Humanitarian Affairs stated that Cyclone Pam was indeed the worst possible scenario for Vanuatu. Before the region had time to fully come to terms with the impact of Pam, the South Pacific was struck by the worst storm ever recorded in the southern hemisphere – Cyclone Winston. The category five storm which struck in February of 2016 led to the death of 42 people in Fiji, the country hit hardest by the storm, and left many without water or power for weeks, according to Fiji’s National Disaster Management Office. In the aftermath of the storm, thousands of homes were destroyed, and people were forced to live in makeshift tents and shacks. Despite the damage caused by the storm, the people of Fiji remain unbowed, working steadily to rebuild and strengthen their communities for the future. “They’ve been rebuilt to a standard that we feel is more stronger than what we had before, hoping that we can meet another hurricane that may be coming round the corner,” says community leader Penioni Toga when describing the construction of new schools and hospitals in the country. Those most impacted by climate change fully understand why their way of life is now at risk, and remain committed to advocating for positive policy change on the world stage. “Fiji intends to whatever is in its power to persuade the global community about the root cause of extreme weather events such as Winston,” said Fiji President Jioji Konrote in a 2016 speech at the COP23 global climate talks. While climate scientists remain uncertain about whether the region will see more frequent cyclones as a result of climate change, they do agree that future storms will be more violent and destructive than ever before. The people of countries like Vanuatu, Fiji, and other coastal, low-lying island nations will increasingly face the risk of devastating tropical storms, while other nations around the world may encounter drought, flooding, and additional hazards. In Vanuatu alone, climate change threatens to dramatically reshape the nation’s geography and forever alter the lives of its people. Research suggests that the southwestern Pacific region will experience a regional temperature rise of 2 degrees Celsius by 2050, according to the Intergovernmental Panel on Climate Change (IPCC). These changes will have significant ecological consequences. Increased water temperatures, combined with higher acidity levels in the ocean due to rising CO2, are likely to cause severe strain to coral reefs in the SW Pacific, while also threatening mangrove ecosystems. Climate change also presents the risk of altering disease patterns, which could lead to the increased spread of dengue fever and malaria in the region. Across the globe, climate change is predicted to raise sea levels anywhere from 18 to 59 cm by 2050, according to the IPCC. Tidal measurements in Vanuatu already show a significant rise in sea level since 1993, according to the South Pacific Sea Level & Climate Monitoring Project. For those living in underdeveloped countries with little economic or political power to alter global environmental policy, the understanding is that unless things change, the future is likely to become dramatically worse. While climate change remains one of the greatest threats to our planet, we still have an opportunity to make a difference and protect the Earth for future generations. Such actions can seem overwhelming and daunting at times. However, there are reasons for hope. With the signing of the historic Paris Agreement last year we now have a roadmap that will allow governments everywhere to begin attacking climate change together. Even more encouraging, we are already riding a wave of momentum when it comes to combating climate change, led by different parts of our society. Nearly 200 countries signed on to participate in the historic Paris Agreement to curb climate change. Over 1,000 business, 250 university and college presidents, and 75 mayors in the U.S. have publicly backed climate change action. These leaders have called on Washington to follow the Paris Agreement and to fully adopt low-carbon policies. 50% of America’s Fortune 500 companies have made a goal to reduce climate pollution. The combined efforts of these companies is the equivalent of taking more than 40 coal fired power plants offline each year. 65 U.S. companies have made a pledge to power their businesses using renewable energy. This is the equivalent of powering nearly 5 million American homes with clean, renewable energy. Over 60 cities across the U.S. have set carbon emission goals that currently exceed federal standards. On March 25, 2017, the World Wildlife Federation’s Earth Hour resulted in 187 countries and territories, 3,000+ world landmarks, and millions of people turning off their lights for 60 minutes in what ranked as the world’s largest single movement for action on climate climate. The clean energy sector continues to grow, employing over 3.3 million Americans. The U.S. solar power industry alone currently employs more people than the gas, oil, and coal industries combined. Members of our kava community! People like you can make a difference by calling or emailing your representatives in government, turning off your lights when not at home, recycling, composting, and making a commitment to purchase green products. On April 29, 2017, the People’s Climate March will flood the streets of Washington, D.C. as hundreds-of-thousands of people make their voices heard about the future of climate change. 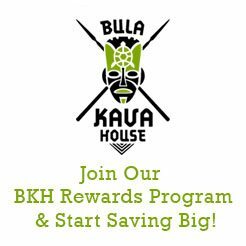 As we celebrate Earth Day and all that it stands for, it’s our hope at Bula Kava House that the members of our kava community take a moment to consider how they can help to improve the lives of those most affected by climate change. There are many wonderful nongovernmental organizations (NGOs) that are working hard to help stop the growing threat of climate change. Below is a list of a few NGOs that we believe are doing good work in trying to help protect our planet. Each group listed below maintains at least an A- rating with the non-profit group Charity Watch. National Resources Defense Council – With the combined power of over 2 million members and online activists with the expertise of around 500 policy advocates, lawyers, and scientists, the NRDC works to safeguard the earth and ecosystem on which we all depend. Conservation Fund – Dedicated to working with private, nonprofit, and public partners, the Conservation Fund strives to protect America’s water and land resources through land acquisition and sustainable economic and community development. Environmental Defense Fund – Operates under a mission of preserving the natural system on which all life depends by using scientific and economical solutions to solve serious environmental concerns. World Resources Institute – Working to move human society to live in ways that protect and support the Earth’s environment for future generations. Surfrider Foundation – With chapters located in cities all along the eastern and western coasts of the United States, the Surfrider Foundation is dedicated to protecting the world’s beaches, waves, and oceans through a network of involved and committed activists. 350.org – An online grassroots organization, 350.org strives to develop online campaigns, mass public demonstrations, and policy ideas designed to hold world leaders accountable to scientific-based realities of climate change. Citizens Climate Lobby – A non-partisan, grassroots advocacy organization focused on national policies to address climate change, the CCL provides opportunities to volunteer at the local level.